Business Continuity Planning Is Your Company Prepared? 1 Business Continuity Planning Is Your Company Prepared? 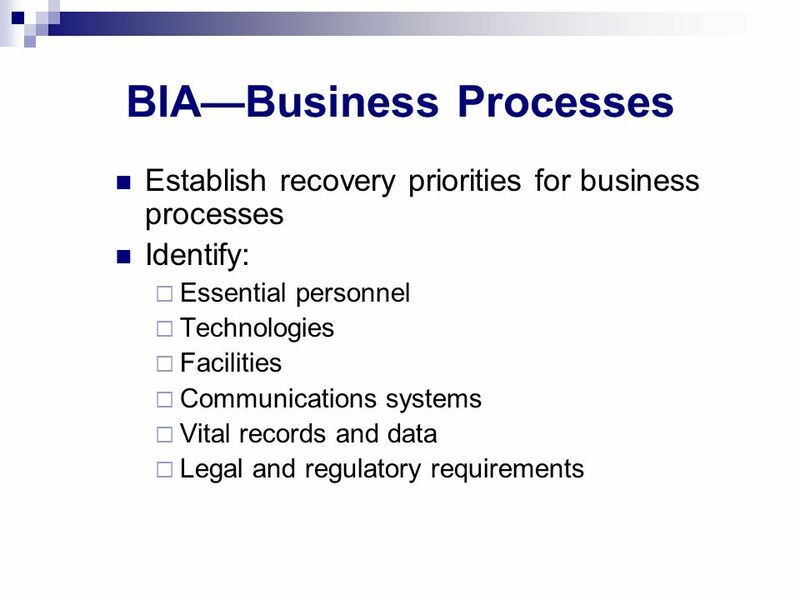 The process of returning essential services to an acceptable level of operation after a disaster. 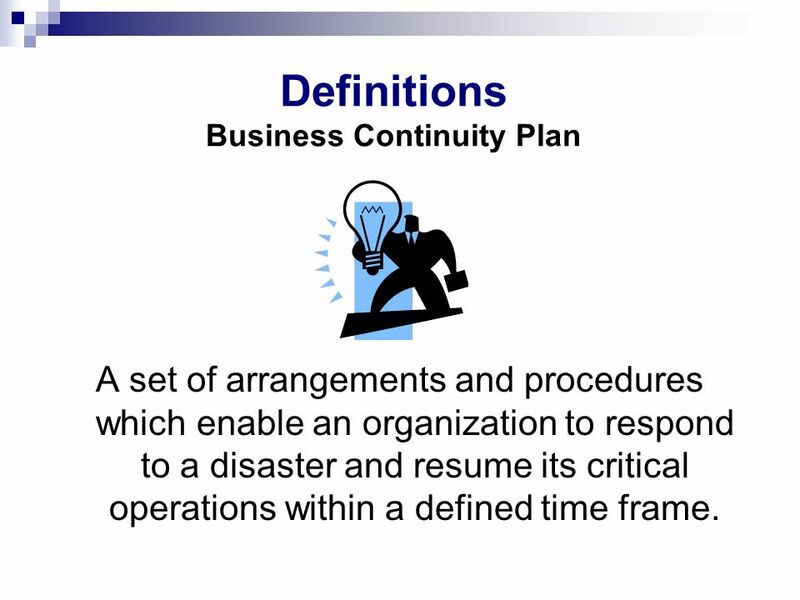 A set of arrangements and procedures which enable an organization to respond to a disaster and resume its critical operations within a defined time frame. 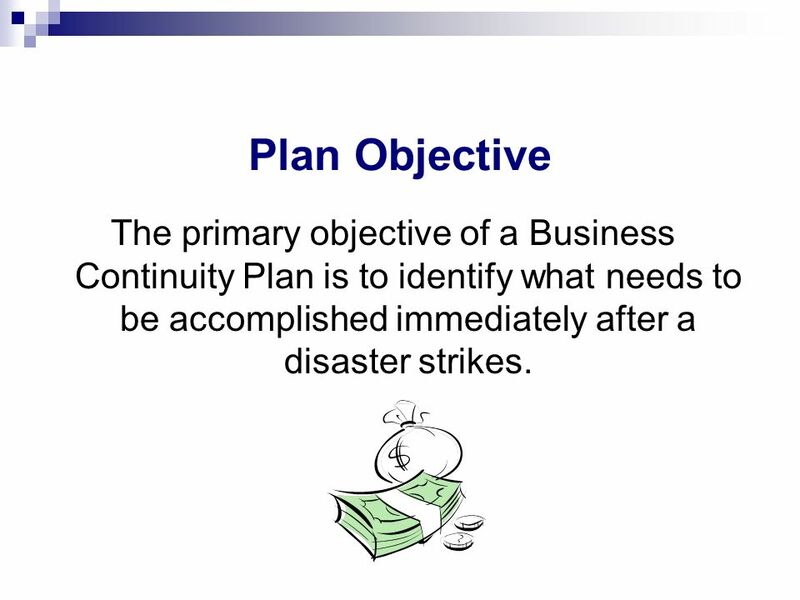 4 Plan Objective The primary objective of a Business Continuity Plan is to identify what needs to be accomplished immediately after a disaster strikes. 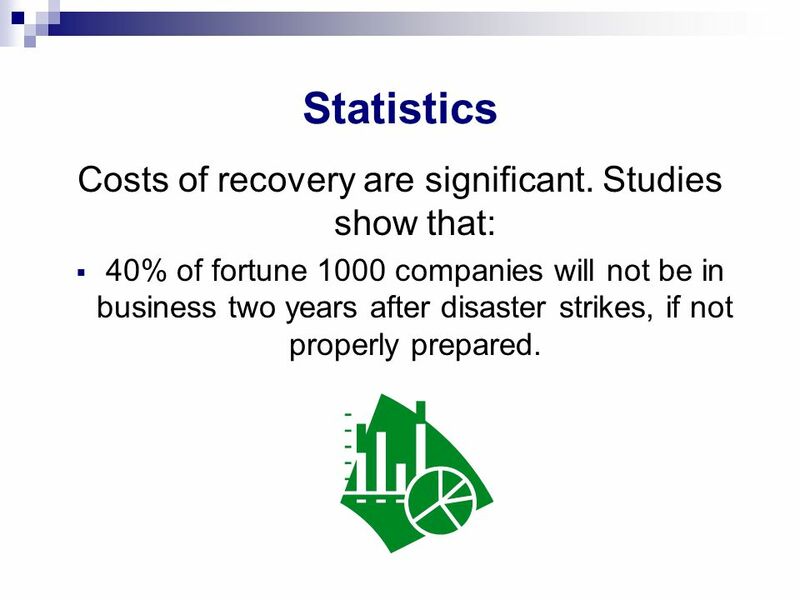 Statistics Costs of recovery are significant. 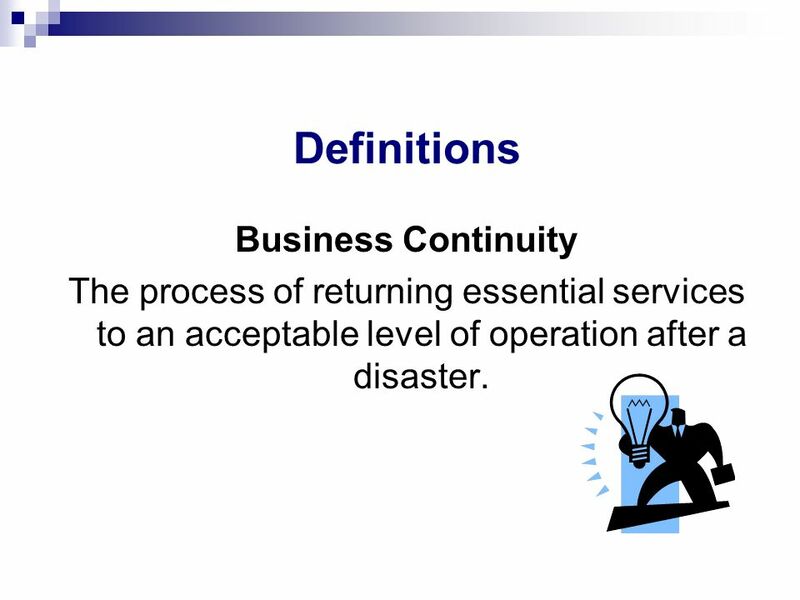 Studies show that: 40% of fortune 1000 companies will not be in business two years after disaster strikes, if not properly prepared. 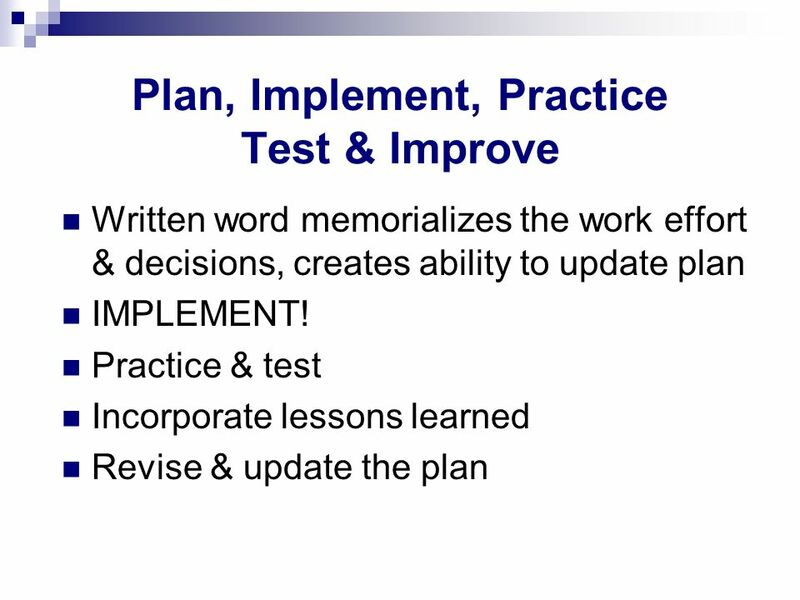 10 It is not expected to be “perfect” or “complete” at any point in time. 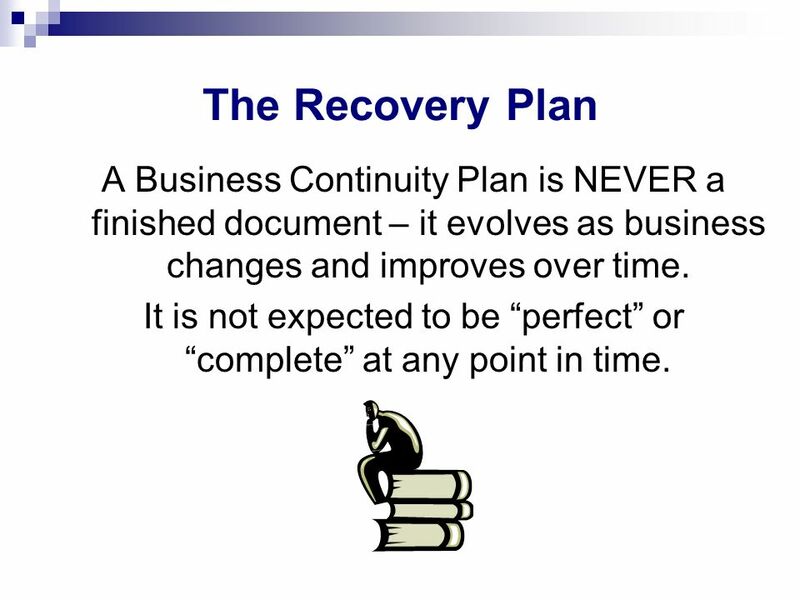 The Recovery Plan A Business Continuity Plan is NEVER a finished document – it evolves as business changes and improves over time. 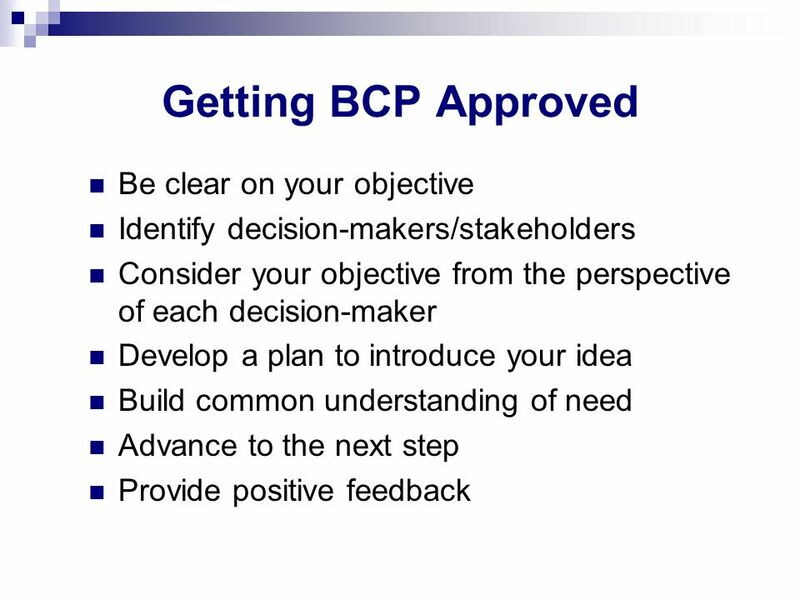 It is not expected to be “perfect” or “complete” at any point in time. 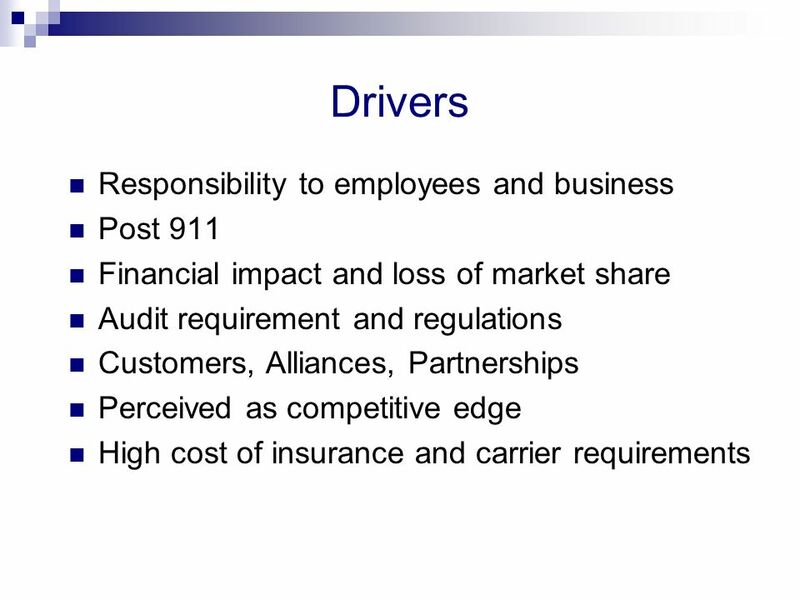 Auditors? 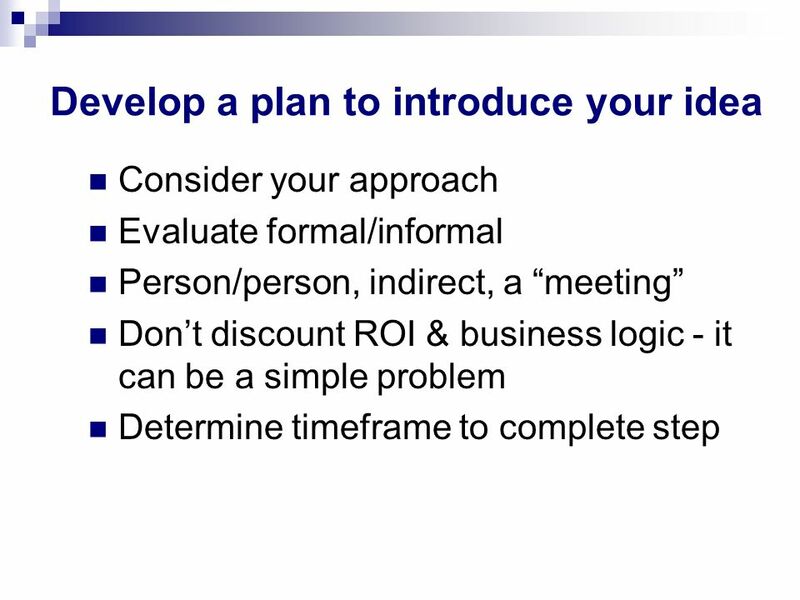 Investors? 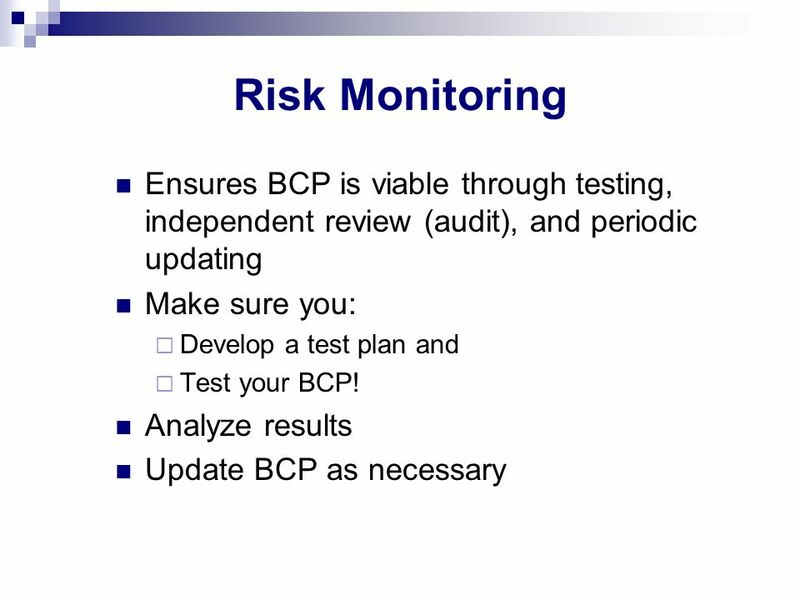 SEC, IRS, HIPAA Clients? 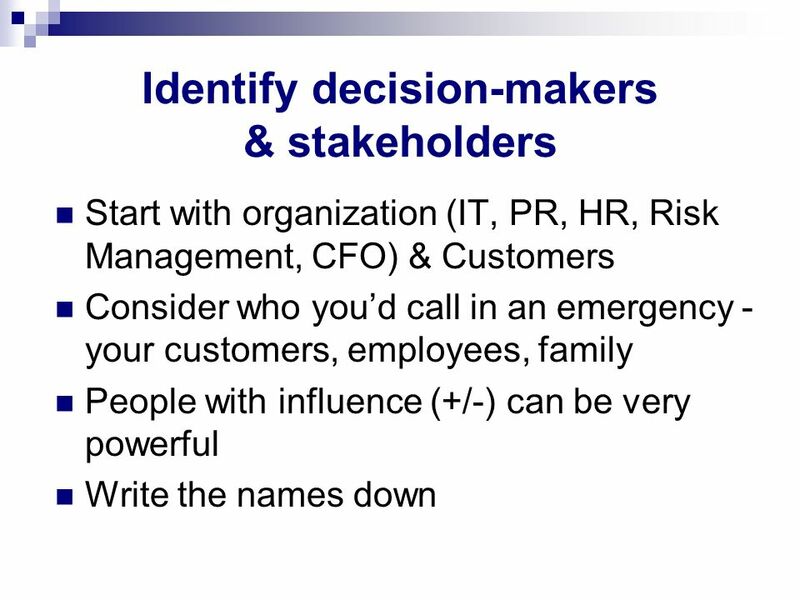 Employees? 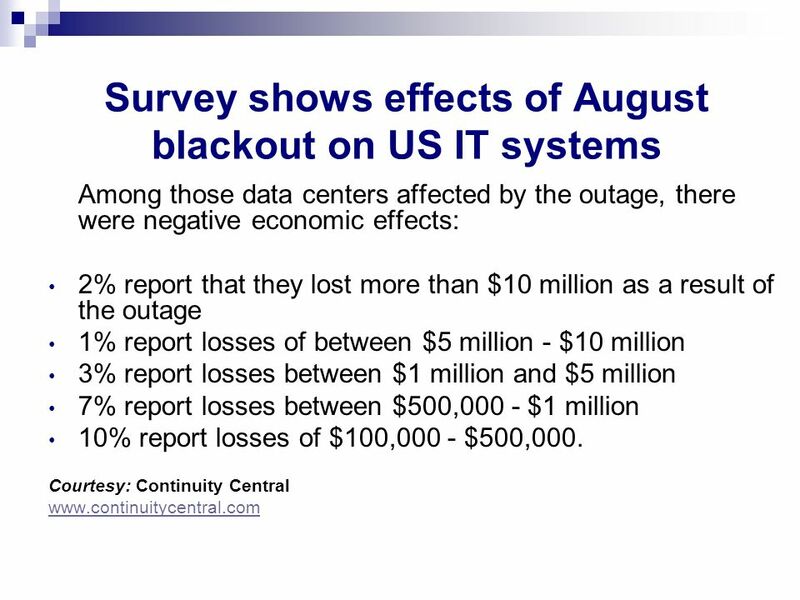 Ask why does it matter to THEM? 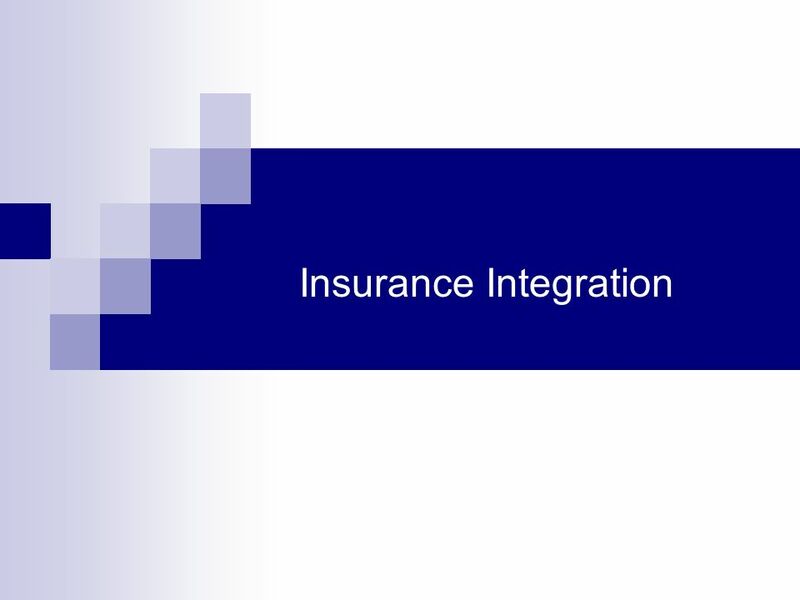 What advantage does it offer THEM? 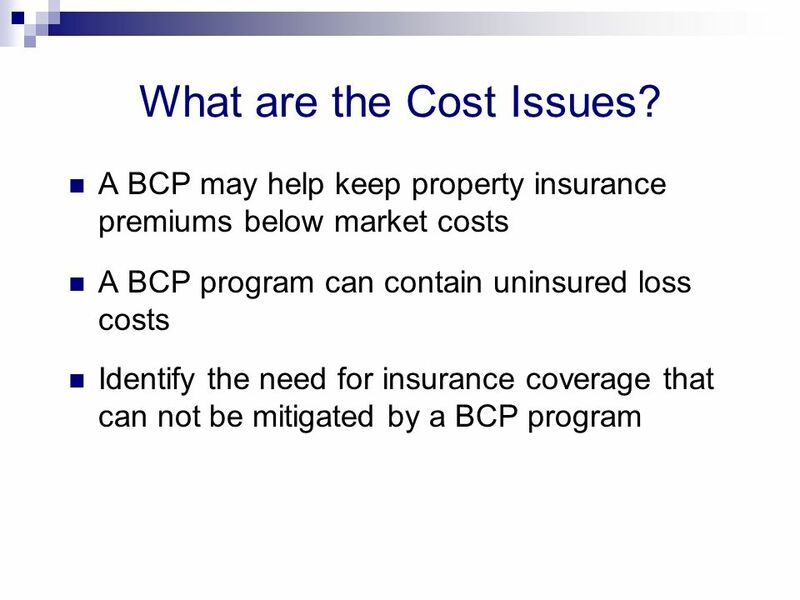 What does it cost THEM? 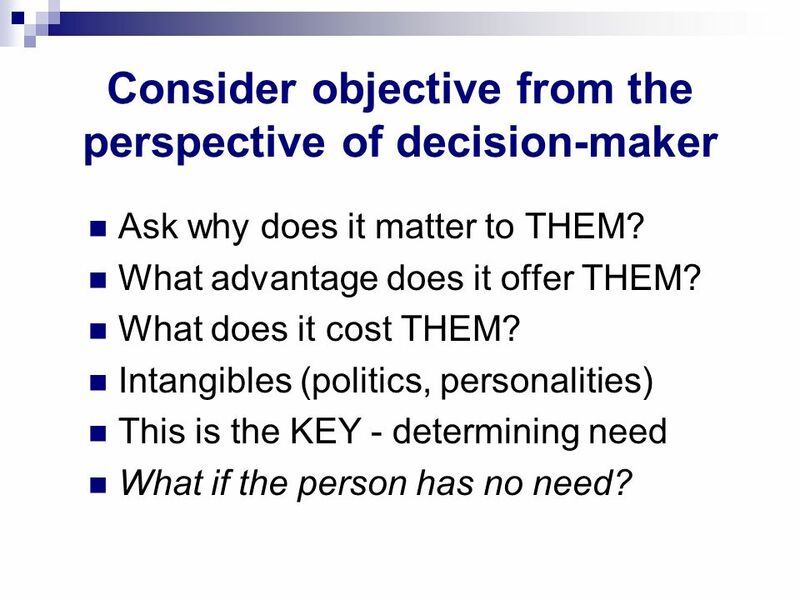 Intangibles (politics, personalities) This is the KEY - determining need What if the person has no need? 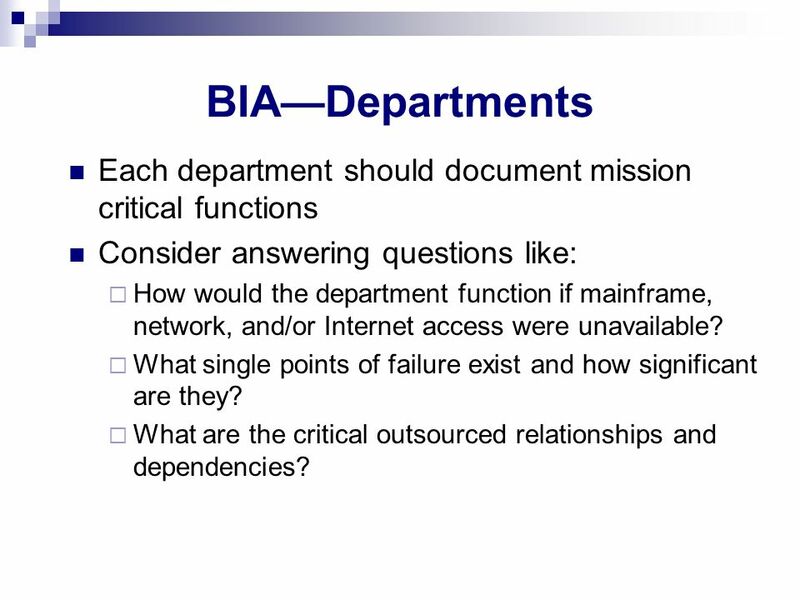 33 BIA—Departments Each department should document mission critical functions Consider answering questions like: How would the department function if mainframe, network, and/or Internet access were unavailable? 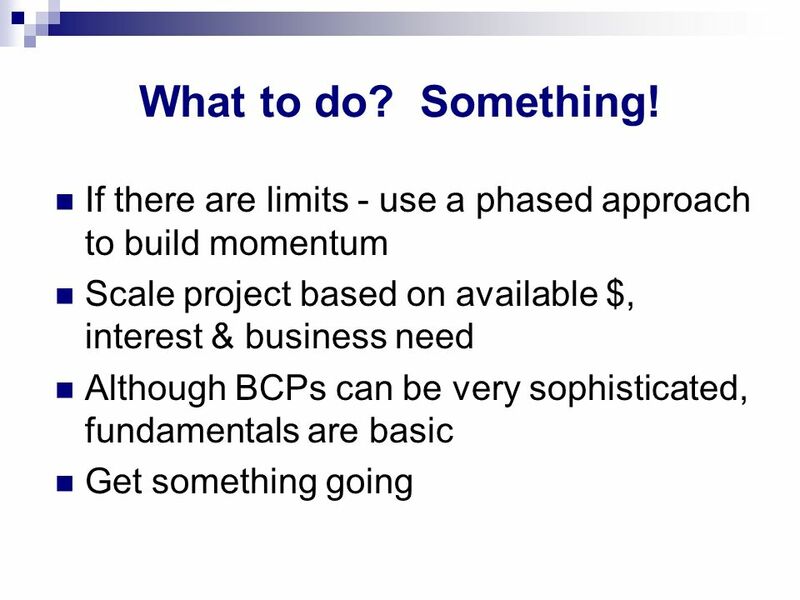 What single points of failure exist and how significant are they? 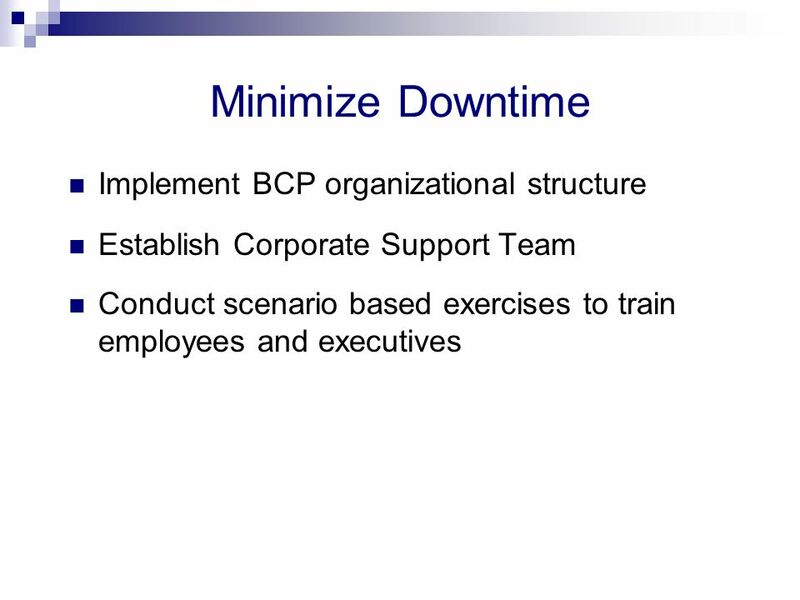 What are the critical outsourced relationships and dependencies? 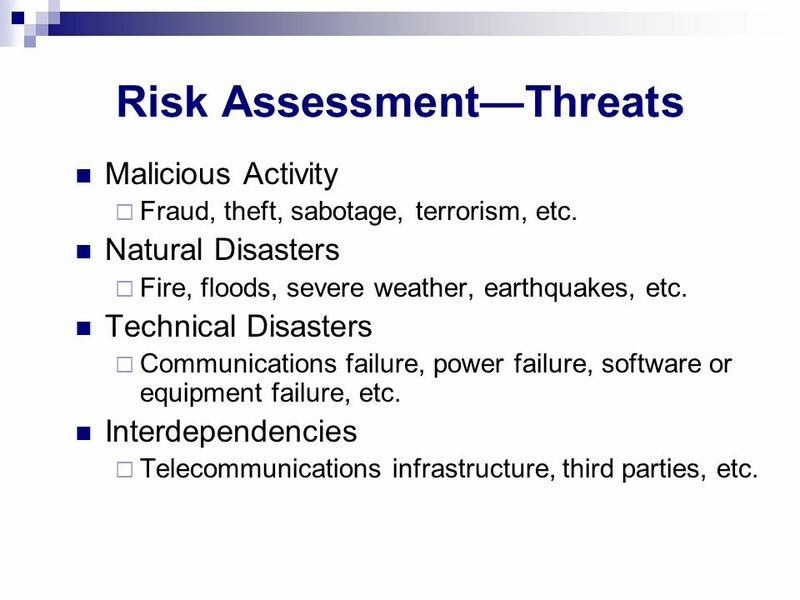 Malicious Activity Fraud, theft, sabotage, terrorism, etc. 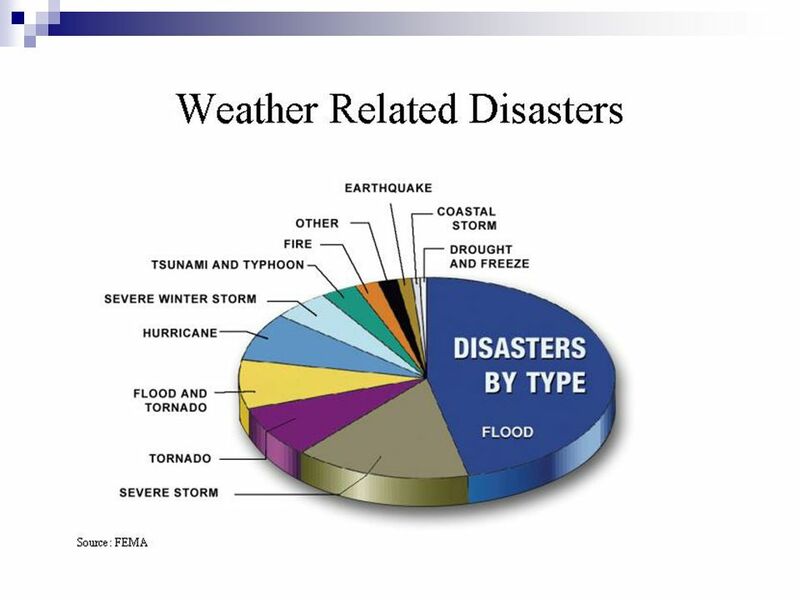 Natural Disasters Fire, floods, severe weather, earthquakes, etc. 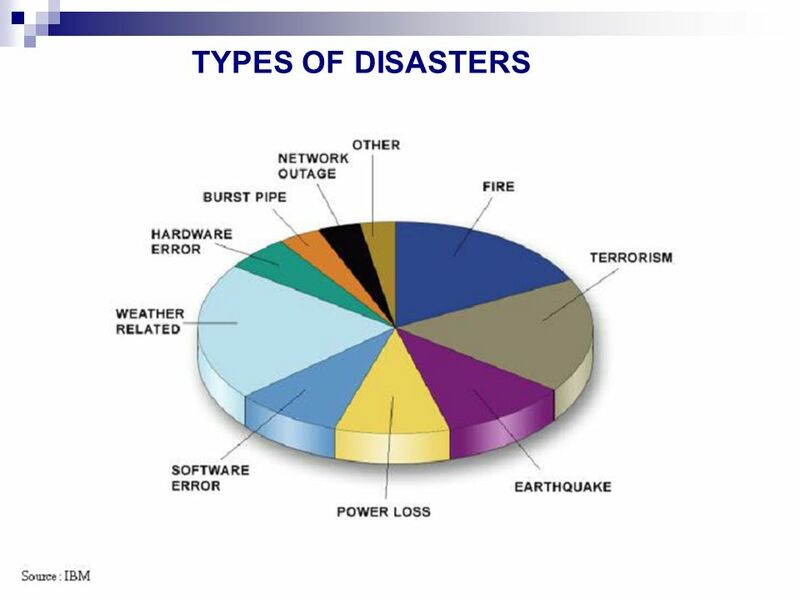 Technical Disasters Communications failure, power failure, software or equipment failure, etc. 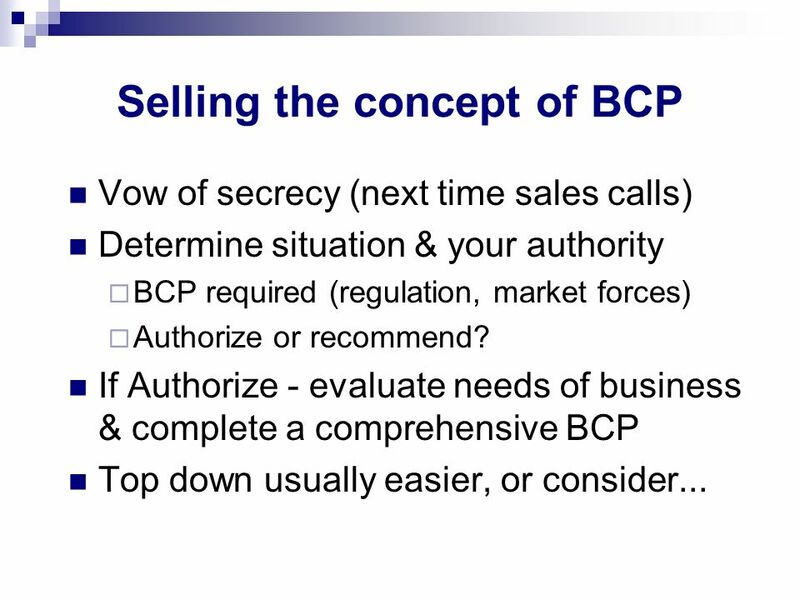 Interdependencies Telecommunications infrastructure, third parties, etc. 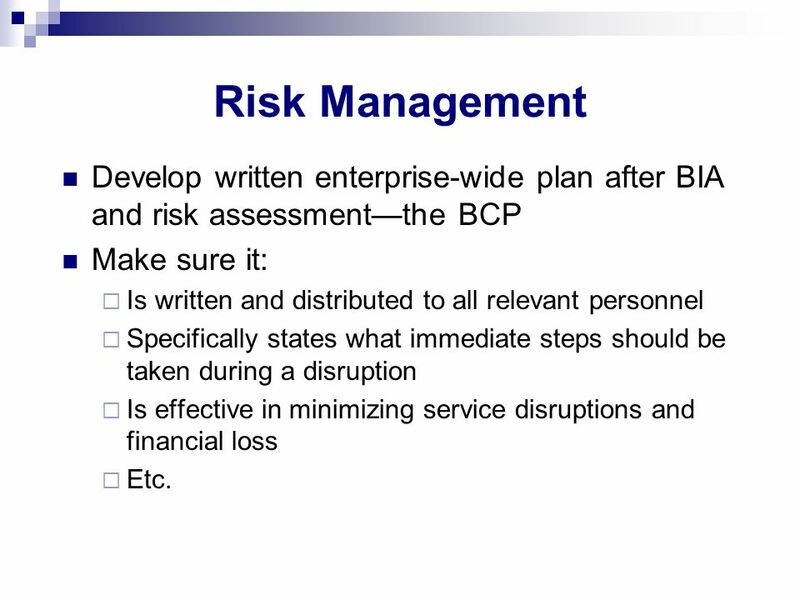 36 Risk Management Develop written enterprise-wide plan after BIA and risk assessment—the BCP Make sure it: Is written and distributed to all relevant personnel Specifically states what immediate steps should be taken during a disruption Is effective in minimizing service disruptions and financial loss Etc. 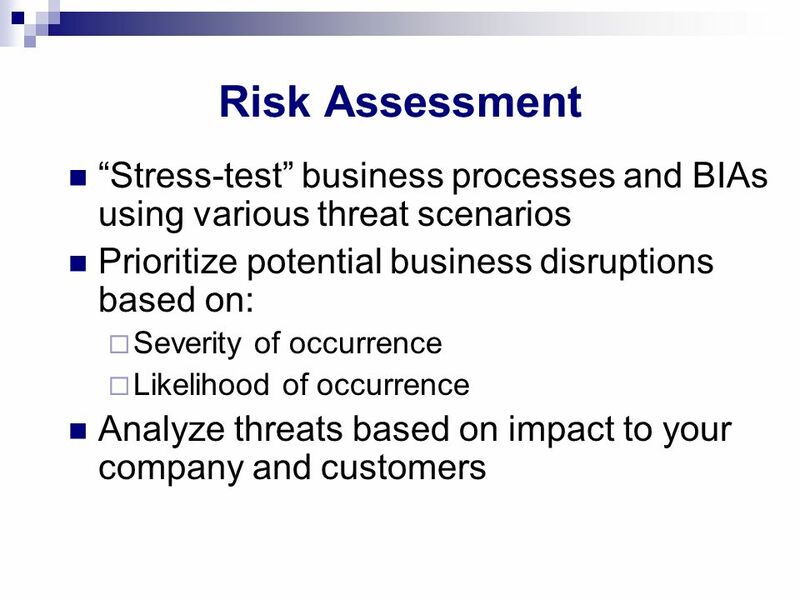 What are the risks and threats? 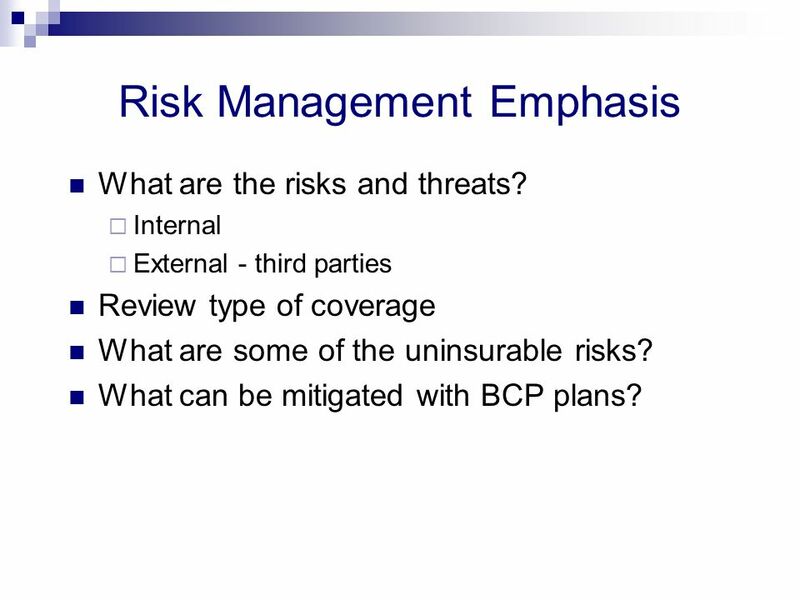 Internal External - third parties Review type of coverage What are some of the uninsurable risks? What can be mitigated with BCP plans? 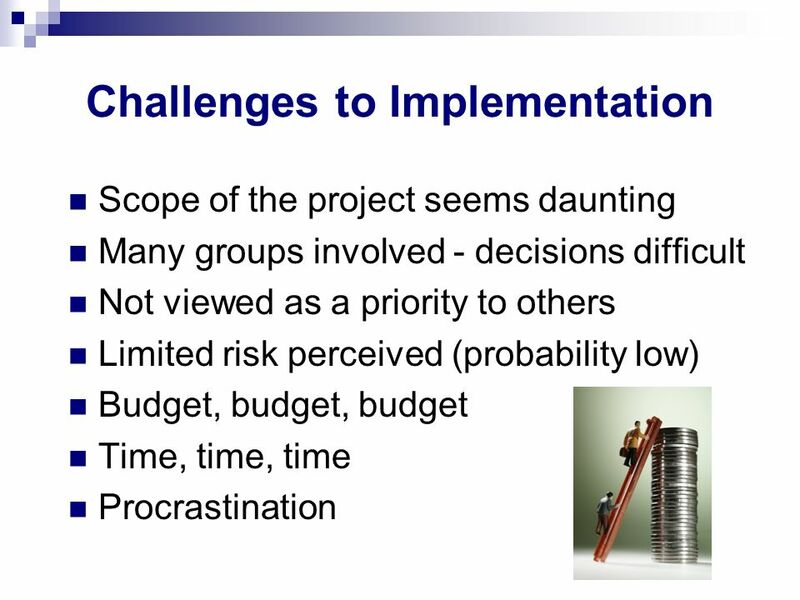 45 What are the Cost Issues? 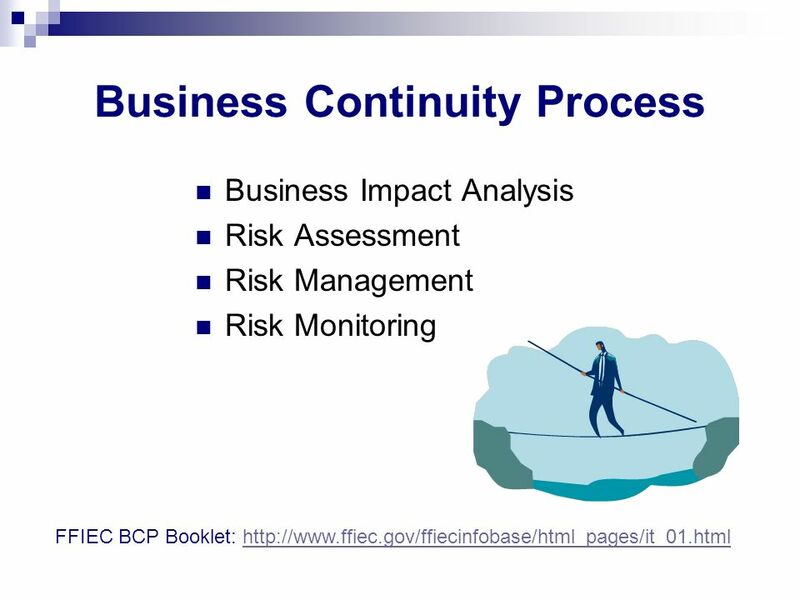 Download ppt "Business Continuity Planning Is Your Company Prepared?" 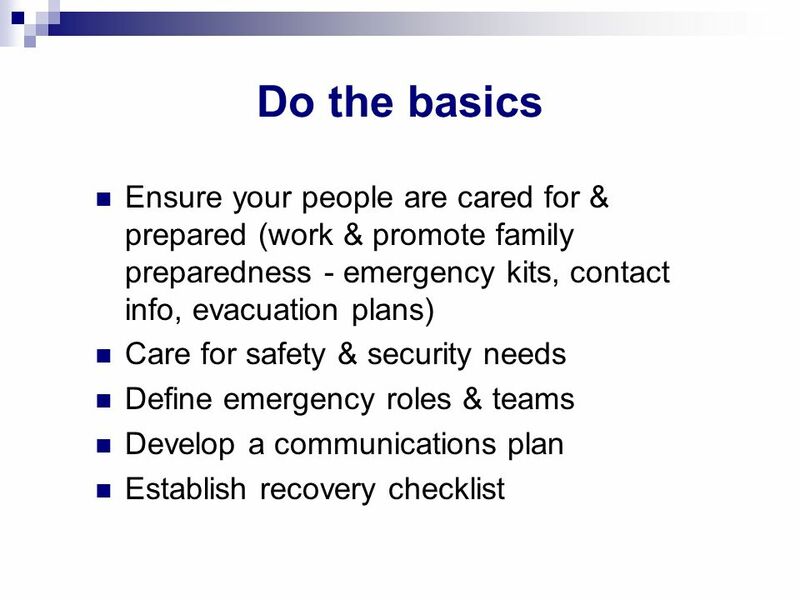 Practical Preparations Planning for Safety and Emergencies. 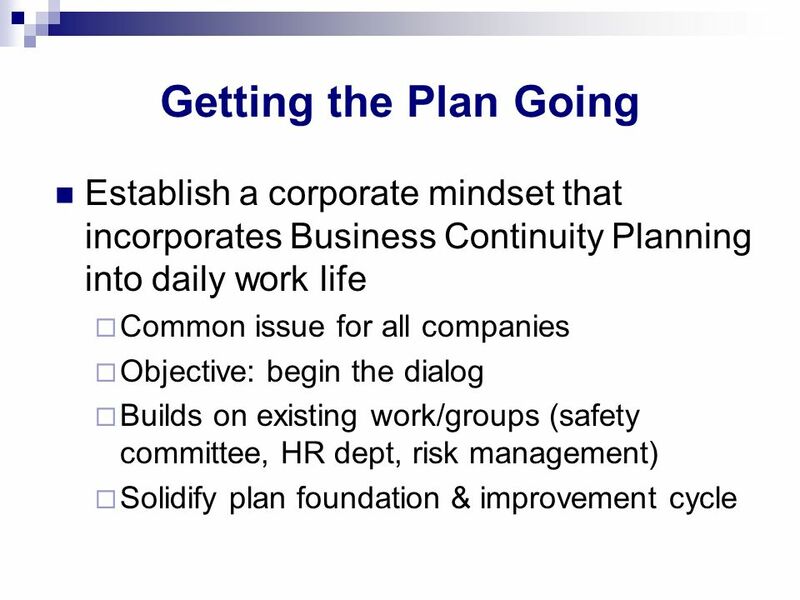 Business Continuity Planning DavisLogicDavisLogic & All Hands ConsultingAll Hands Consulting. 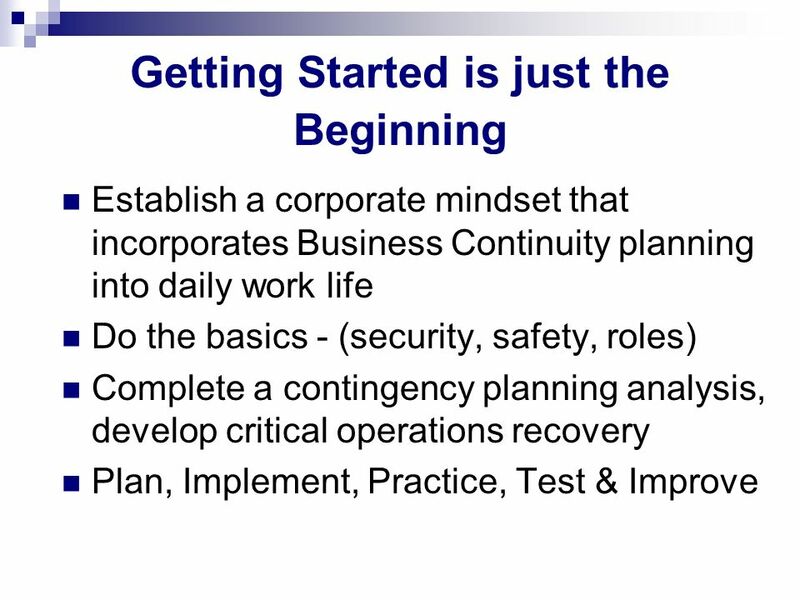 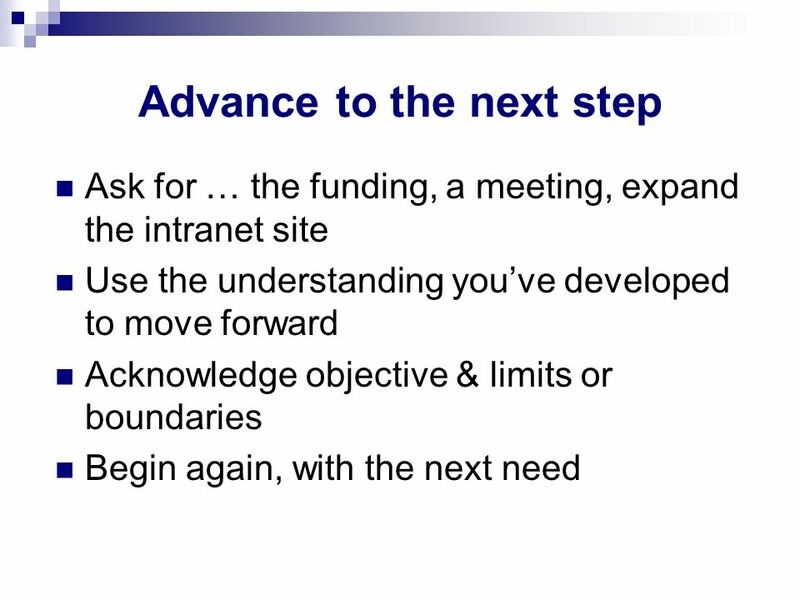 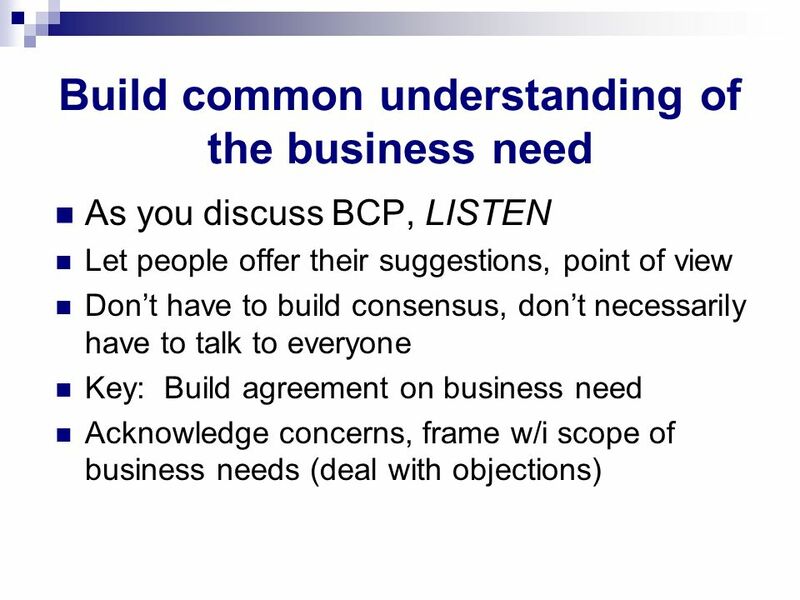 SUNGARD PLANNING SOLUTIONS LESSONS LEARNED: SEPTEMBER 11 A Business Continuity Approach Barbara Allen SunGard Planning Solutions December 11, 2002. 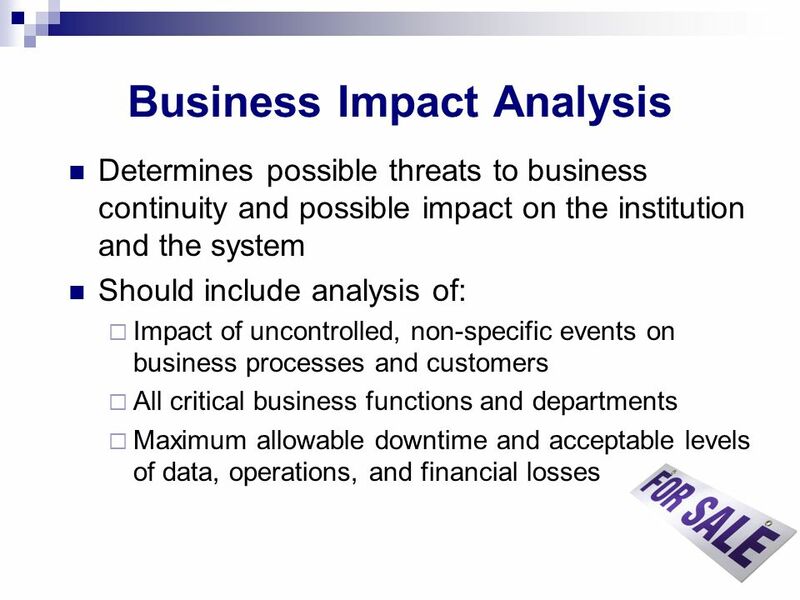 Reliability of the electrical service Business Continuity Management Business Impact Analysis (BIA) Critical ITC Services Minimum Business Continuity Objective. 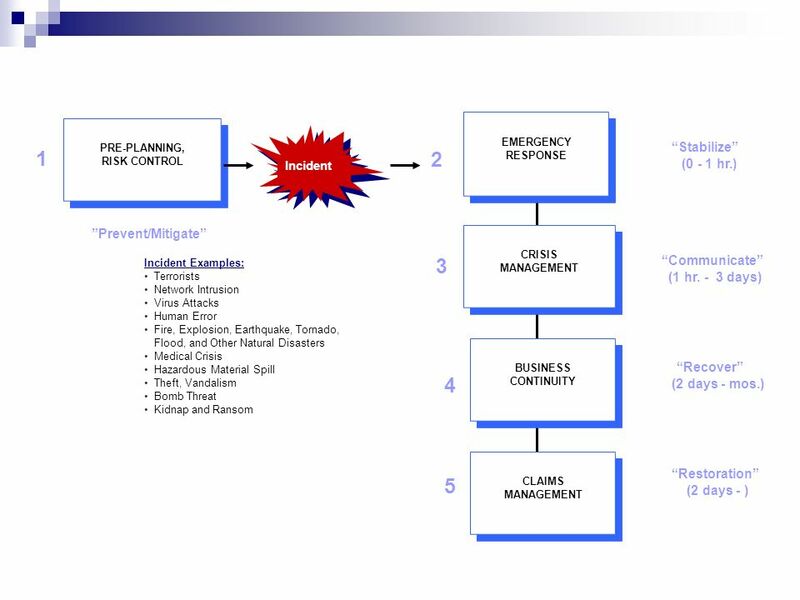 DISASTER CENTER Study Case DEMIRBANK ROMANIA “Piata Financiara” ConferenceJanuary 29, 2002 C 2002. 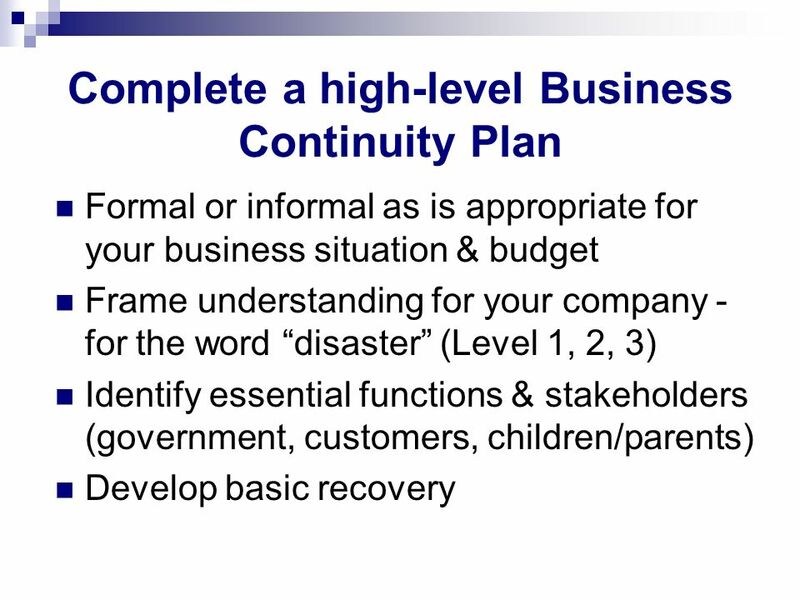 Introduction to Business Continuity Planning An Introduction to the Business Continuity Planning Process Including Developing your Process and the Plans. 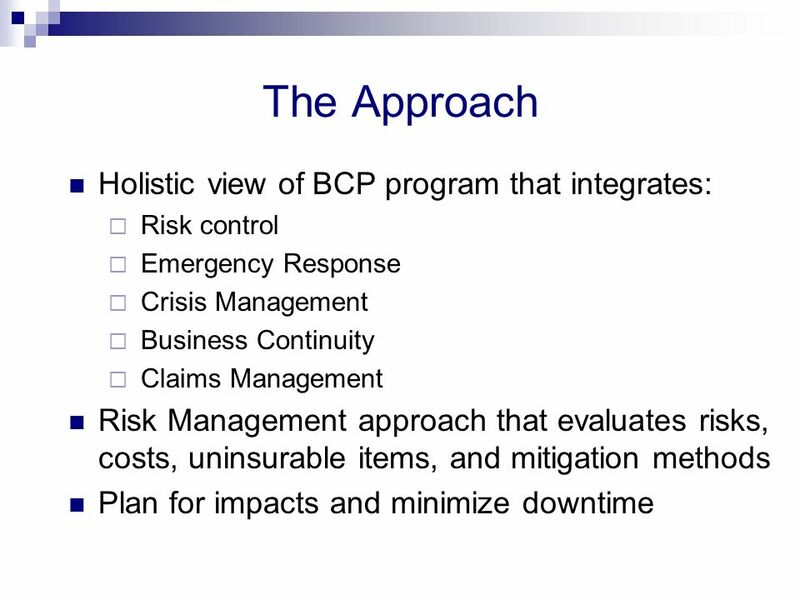 1 Continuity Planning for transportation agencies. 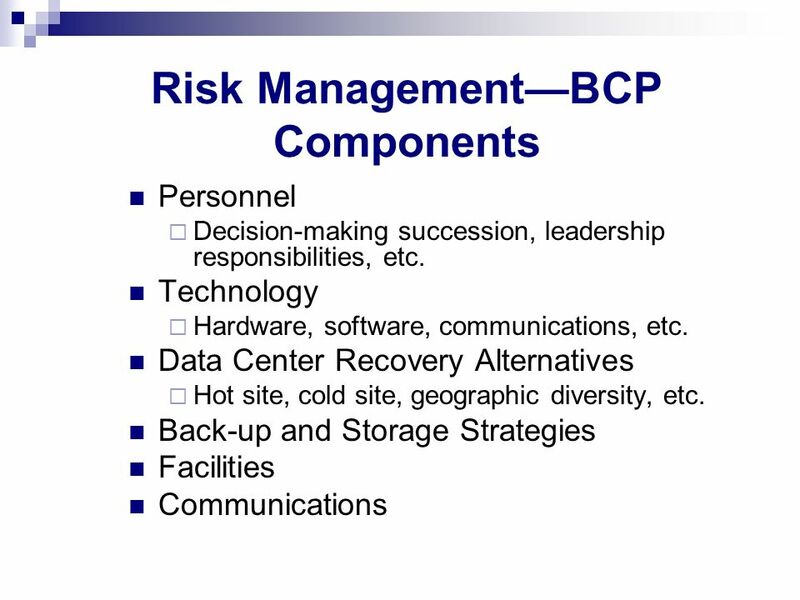 9 - 1 Computer-Based Information Systems Control. 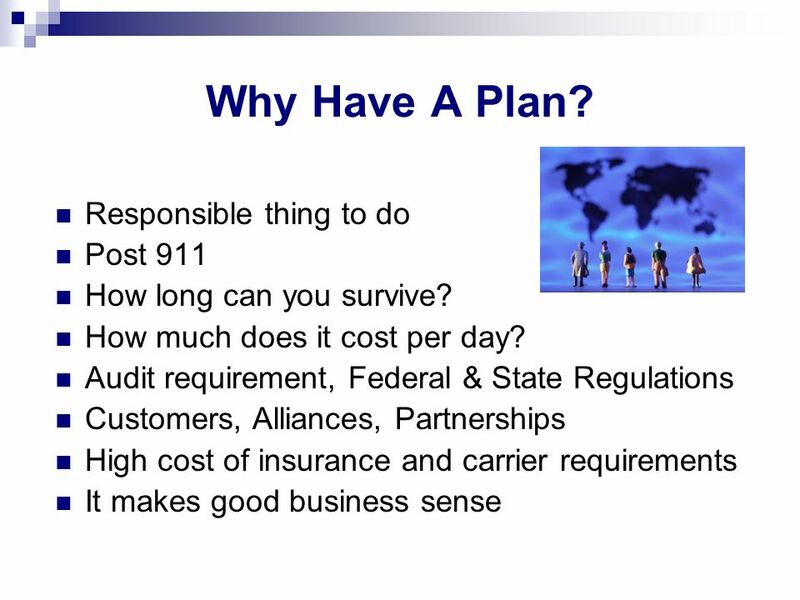 Continuity of Operations (COOP) Planning McDonnell A Tuesday 1:30 – 2:45 Emergency Preparedness 101: Personal, Organizational, and Community Don Sheldrew. 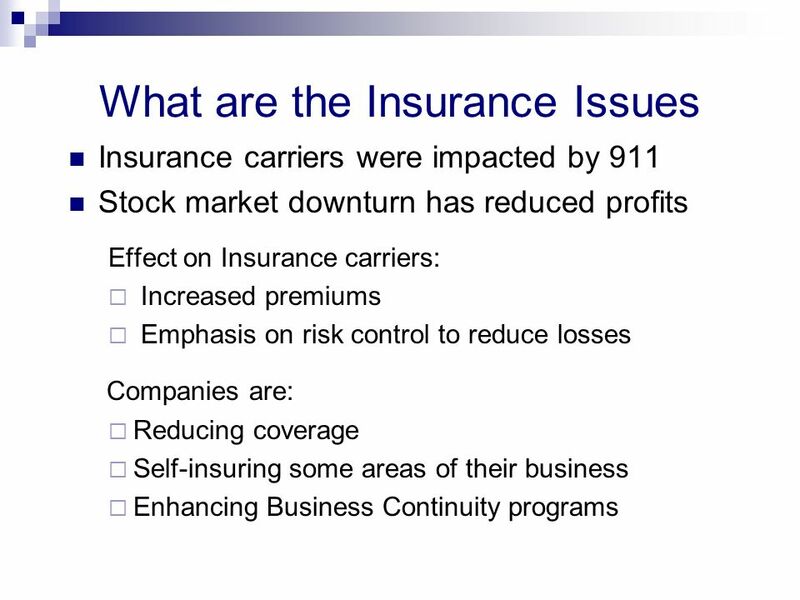 TEL382 Greene Chapter /27/09 2 Outline What is a Disaster? 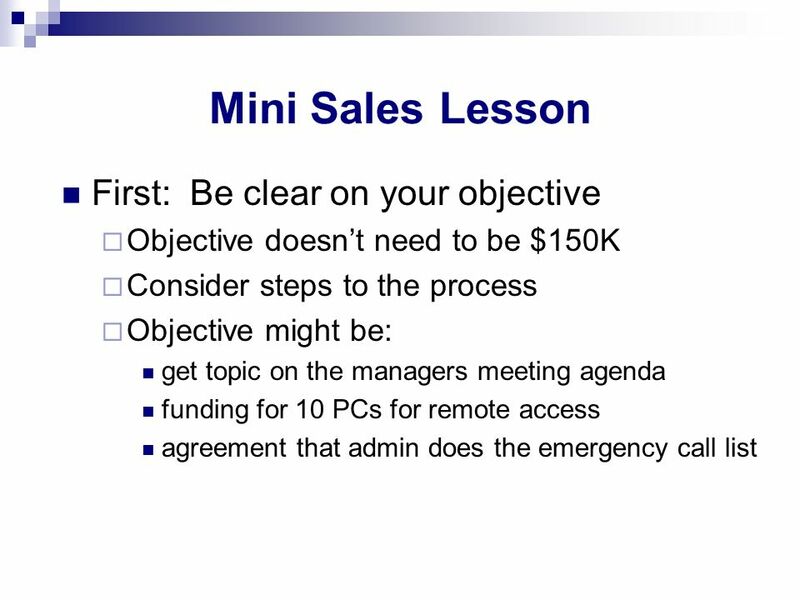 Disaster Strikes Without Warning Understanding Roles and Responsibilities Preparing For.